PIERRE, S.D. – Gov. Dennis Daugaard has proclaimed Nov. 12-18 as Registered Apprenticeship Week in South Dakota. “This week is designed to promote the importance of apprenticeship training and the essential role it plays in building a quality workforce and reducing turnover,” said Gov. Daugaard. 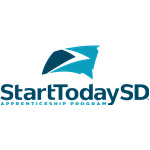 A Start Today SD Summit will be held on Tuesday, Nov. 13 at Mitchell Technical Institute to educate policy makers, businesses, apprenticeship sponsors and workforce and education professionals about the value of Registered Apprenticeships. Businesses approved to receive incentive funding will also be announced. Applicants could apply for up to a maximum of $30,000 in funding to help offset the initial start-up costs when developing a new apprenticeship program. The Start Today SD Summit is provided at no cost. Online registration is available at https://www.starttodaysd.com/Summit2018. Apprenticeships combine work-based learning with related classroom instruction. The Department of Labor and Regulation has received an $847,000 federal grant to add 200 active apprentices by fall 2020.